Finding yourself in the corners of your suicide closet, noose in hand, ready to exit your successful life. My mortality deems you already dead before you turned two. She chose You, your Mother. It’s as if a piece of her extinction was passed through you as the gas curtains closed upon her. You, look so much like her. She would have loved you more. 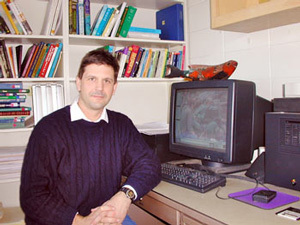 Dr. Nicholas Hughes in 2000 in his office at the University of Alaska Fairbanks campus. Wrap me, raggy shawls, Cold homicides. They weld to me like plums. In you, ruby. The pain You wake to is not yours. Shocked then anger came over me as if I controlled the weather. My fondness expired for Plath’s own destiny, but her work remains as my exemplar. By worldprosechronicles in Uncategorized on March 16, 2018 .